Sergio Magaña, “Ocelocoyotl”, is a well-known and respected healer in Mexico City, who has been initiated into the 5,000-year-old Toltec or Toltecayotl lineage of Mesoamerica. The tradition began with the ancient Chichimecas, who transmitted it to Teotihuacans and then Toltecs, who then taught both the Mayans and Aztecs. Sergio is also trained in the Tol shamanic lineage (nahualism) of dreaming knowledge that has been passed on in the oral tradition without interruption from master to student for 1,460 years. The time for these teachings to be unveiled is now and Sergio is one of a few spokespeople asked to share this ancient and hidden wisdom with the world. According to the tradition of the Mexica/Aztec, we are moving from the Fifth Sun to the Sixth Sun, or an age of human evolution where we have the potential to know our full selves, by exploring the inner or subtler aspects of humanness. 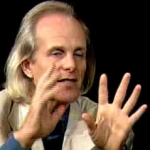 It is through this knowledge that we can actively participate in the evolution of human and planetary consciousness. Now, we are presented with an opportunity for us to expand into our greater capacities and live from a place of grace and unity. The Chichimeca, a nomadic culture, were the original holders of the spiritual tradition or root lineage of ancient Mexico and considered to be double masters, with access to and command of two states of consciousness—dreaming and waking. Through this ability they garnered wisdom from the cosmos and more subtle planes of existence ; giving them a working knowledge of how perceptions form reality as well as the capacity to influence matter. They understood and took responsibility for the power of human consciousness and relationship to all of life. It is they who primarily informed the Toltec/Aztec worldview and spiritual tradition. Both the Aztec and Mayan calendars are based on the Mixtec/Zapotec calendar. The Mayan calendar is formed of separate calendrical ‘wheels’ (solar and lunar; the long and short cycles) but the Aztec calendar incorporates knowledge from the Chichimeca, which gathers all cycles into a single wheel and represents the various aspects of the cosmic dance—spanning from one single moment through incredibly long cycles that are incomprehensible to human consciousness. The Mayan long count calendar ended on October 28, 2011 (not 2012, as is commonly believed) and the Aztec calendar, by contrast, included two more cycles, totaling 13,250 years. The Aztec people also received teachings from the Chichimeca about training and practices needed to support humans for the shifts between Suns and how to work with grace to bring about a new level of human consciousness. According to a prophesy from Cuauhtemoc (Aztec ruler d.1525) these very teachings, which have been guarded and preserved for centuries, must be shared with the rest of humankind at this precise moment in time. Sergio Magaña is one of the messengers of this wisdom. 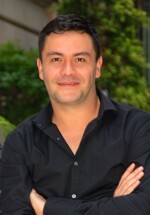 Sergio Magaña is the founder of Centro Energético Integral and the host of “2012; The Days to Come”, a daily radio show that has been on the air in Mexico City for over 12 years. He speaks Spanish and English fluently and has studied for many years the mystical power of the Nahuatl language. He is a featured author in a book called Transforming through 2012 and the author of a new book called 2012 – 2021, The Dawn of the Sixth Sun - The Path of Quetzalcoatlwhich is now available in Spanish, Italian, and English in August of 2012. He travels extensively and has a community of over 50,000 students in Mexico, the USA, Italy, The Netherlands, and the United Kingdom. He lives in Mexico City.